(Boston, MA) – BOND, the Northeast’s premier full-service construction management and general contracting firm, announces it will be attending the GO BIG Institute of Electrical and Electronics Engineers (IEEE) Power and Energy Society (PES) Transmission and Distribution (T&D) Conference. The keynote speaker for this year’s conference is Hall of Fame NFL player, Emmitt Smith. 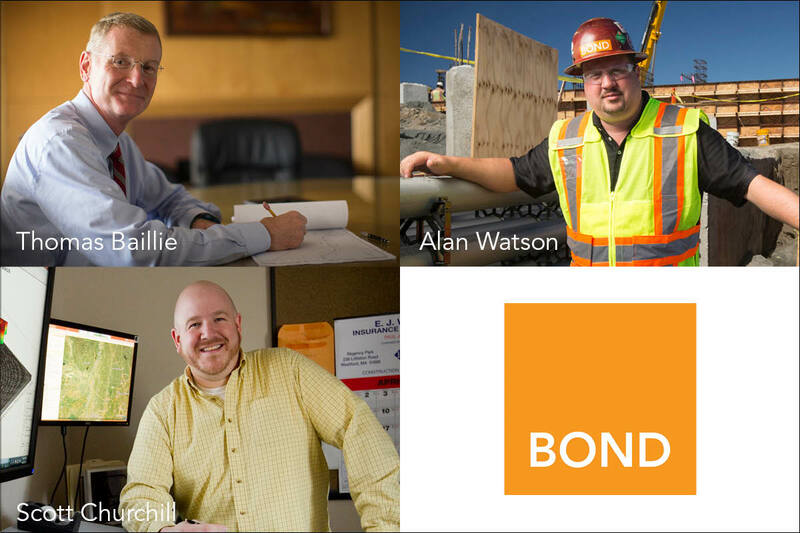 Attending the conference is Thomas Baillie, Executive Vice President, Alan Watson, Vice President, Electric Transmission & Distribution Services, Scott Churchill, Vice President, Estimating and Business Development and BOND team members. BOND has constructed over sixty miles of underground electrical transmission lines, across nine states, achieving national recognition on several projects. These include: Eversource’s Middletown to Norwalk Transmission Line (22-mile, 345kV XLPE) and National Grid’s Worcester Cables Transmission Line (3.5 mile, 115kV XLPE). The company’s Electric Transmission & Distribution business unit offers turnkey solutions for projects such as: electrical substations (brownfields & greenfields), high voltage underground transmission systems, high and low voltage underground distribution systems, substation and infrastructure storm hardening. In addition, BOND provides BIM services and constructability analyses to existing substation structures. For more information on the IEEE Conference, visit their website to register and please visit the BOND website to learn more about electric transmission and distribution services.